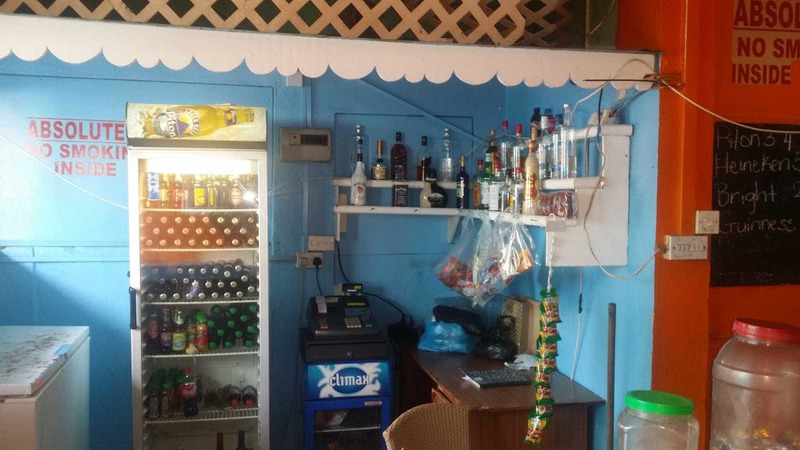 Ace’s Bar is a quaint bar and grill joint nestled in the heart of the picturesque town of Soufriere, St. Lucia. A roadside well-stocked bar allows patrons to enjoy eats and refreshments while mingling with the hearts and soul of the very passionate people. Delectable BBQ treats such as honey BBQ Pork, Kidney Kebab, Bakes, Grilled Chicken are on sale every weekend. Drinks are on sale every day. Piton Beer two for $10, Heineken Beer five for $20, Bright Beer two for $5, hangoutGuinness two for 10 and much more. Ace’s Bar is cool spot to chill with friends, have a drink and something to munch on. We boast a splendid Saturday evening where everyone is united to sing to their heart’s desire and carry their own key. It’s the perfect spot to have some fun on any given day, so make it your chill spot.